Domestic Diva In Training: Fab Ab February. Ok, so who's with me? 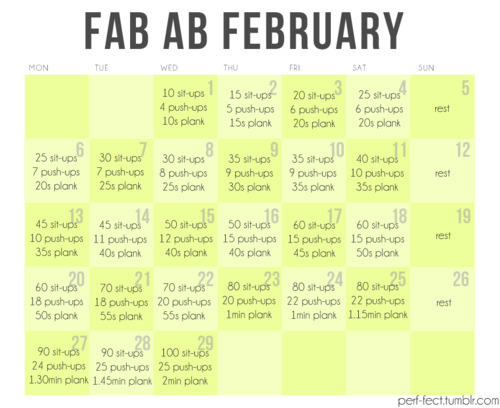 I'm starting the Fab Ab February Challenge that is all over pinterest tomorrow. Who is doing it too? If you don't know here is what it looks like. Thanks to this blogger for setting it up.